If you run a business, the next customer entering your office door could be the next plaintiff in a lawsuit against your business. As consumers become increasingly aware of their legal rights, there has been a phenomenal increase in lawsuits. You cannot avoid this risk, but at least you can transfer this risk to your insurer through business liability insurance. A standard liability insurance for business policy (also known as comprehensive general liability insurance) provides insurance coverage for lawsuits arising from injury to employees and public, property damage caused by an employee and injuries suffered by the negligent action of employees. The policy may also cover infringement on intellectual property, slander, libel, contractual liability, tenant liability and employment practices liability. The commercial liability insurance policy is tailor made for any small or large business, partnership or joint venture businesses, a corporation or association, an organization, or even a newly acquired business. In this article we’ll outline the characteristics of a liability insurance for a business policy and explain how it can benefit your business. Insurance coverage in a small business liability insurance policy includes bodily injury, property damage, personal and advertising injury, medical payments, and premises and operations liability. In case of lawsuits, insurers provide coverage for compensatory and general damages, punitive damages are generally not covered under the policy, although they may be covered if they are permitted by the jurisdiction of the state in which the policy was issued. The amount of risk associated with the business and the size of the business determines the total coverage. The policy provides compensation for defending or investigating a lawsuit, court costs including attorneys’ fees, police report costs and witness fees, any judgment or settlement resulting from the lawsuit, medical expenses for the injured persons, etc. Here, insurers retain the right to defend any suit against the insured company arising from bodily or property damages. Bodily injury : in the event that a person is injured, gets sick or contracts a disease on the premises of a business, a liability business insurance policy will compensate that person with the costs of loss of services, medical care and may even provide compensation for a death that results from the injury / illness. However, claims for the insured and his or her employees are usually covered by employers liability insurance. Business liability insurance does not provide coverage in these cases. Property damage : under a contractor liability insurance policy, the insurer reimburses the property owner for any damage to a tangible property that causes the loss of use of that property (the definition of bodily and property damage may vary from one insurer to another). Fire, lightning or explosion damage : suppose that a fire erupts in your rented office and causes damage to your office as well as your neighbor’s, a professional liability insurance policy would compensate your and your neighbor’s business against these fire damages. Tenant’s liability : business liability insurance policies also protect your business against claims of fire damage or other specified losses caused by your negligence to your rented business space. Premises and operations liability : usually, business liability insurance policies cover liabilities arising from business operations on the premises of the business. For instance, if a customer falls in your office and suffers leg injuries. As a result, your insurer will pay the medical expenses for that customer. Product liability insurance, completed operations liability : many insurers provide insurance coverage for liabilities arising from a company’s finished products or services. If the product or the services that your company offers is found at fault, your company is likely to be sued. In this case, the insurance company will compensate for the legal expenses and the consequential damages. Contractual liability : the business liability insurance policy covers liabilities that arise out of entering into a lease contract, any easement or license contract, elevator maintenance contract, etc. Personal and advertising injury liability : the business liability insurance policy provides insurance coverage against liability arising from slander, libel, malicious prosecution, violation of privacy, wrongful eviction, copyright infringement etc. Thus, if you are accused of injuring a business through verbal or written comments or advertising injuries or infringing another company’s intellectual property, the policy will provide vital liability protection. 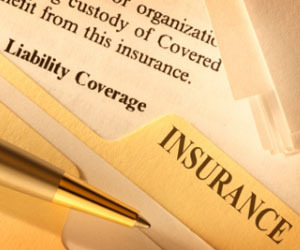 It is important to clarify the type and amount of coverage provided by your insurer. The above coverage alternatives may differ from one insurance company to another. The insurer only pays the specified maximum amount during the policy period or per occurrence. Therefore, if the company has a policy with a limit of $2 million per occurrence and a judgment of claim amounting to $3.5 million is awarded to the victim, the insurer will pay its share of $2 million, while the company will be obligated to shell out the remaining $1.5 million. The policy may be offered on either a claims made basis or occurrence basis. A claims made policy insures the company against claims that are reported during the term of the policy. Under an occurrence policy the insurance company has to pay for claims in which the event that sparked the claim occurred during the policy’s coverage period, regardless of when the claim is reported. Professional liability insurance is often covered on a claims made basis while business liability insurance polices generally are issued on an occurrence basis. Many insurers offer a provision for including additional insureds (or people covered in the policy). The insured parties may have the right to the policy without paying the premiums or satisfying the policy’s specific terms. Additional insured parties can be added to the business liability insurance cost policy through endorsement. Endorsement may be needed in situations in which another related party may venture onto the work site. For example, an architect may often go to the site of a new building construction. If the architect is not covered under the construction company’s business liability insurance, he or she can be added to it as an additional insured. Business liability insurance policy is often combined with property insurance policy in a typical business owner’s policy. It is important to note that business liability insurance policies differ from professional liability policies in the sense that professional liability insurance offers indemnification against professional negligent acts. However, directors’ and officers’ liability and errors & omissions insurance are not included in a business liability insurance policy. Just as every business needs a business liability insurance policy, every policyholder needs appropriate personal liability umbrella insurance. Many insurers provide umbrella insurance for home, auto and boat owners. Under the policy, policyholders are protected against lawsuits that arise out of damage caused to the public by their homes, autos and boats. The policy may offer liability protection ranging from $1 million to $5 million as per individual requirements and the risk associated with the property. Usually, the coverage includes medical payments for injured persons, lost income that results from injury and the legal costs of the negligent insured. Every business is susceptible to the risk of court cases, bodily injury to the public or property damage. As litigation cases increase, businesses are learning the importance of owning general liability insurance. In this scenario, a proper business liability insurance policy is the only way to protect your company’s assets and reputation from expensive lawsuits. So you can contact a broker and let him help you with your business liability insurance quote.